What are your Body Concerns? Do you find that irrespective of how well your diet is, or how much you exercise, you still retain stubborn pockets of fat on your body? 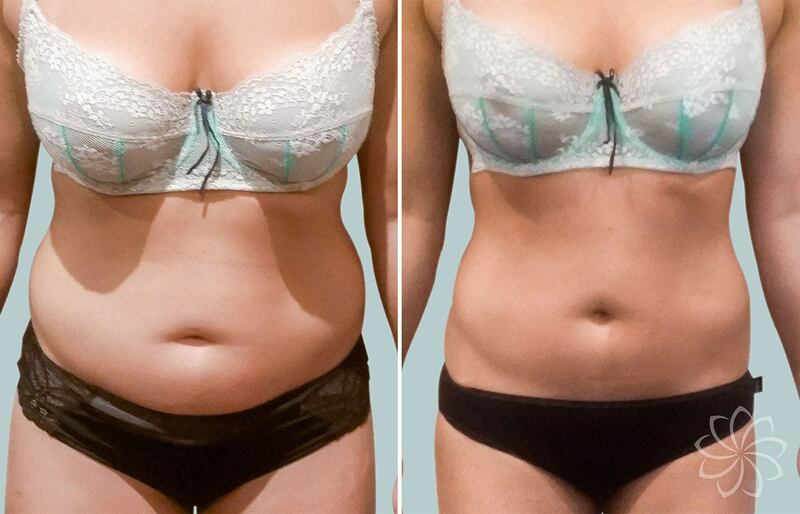 Body Catalyst can help you get rid of these fatty pockets using state of the art, medical grade, fat-freezing (cryolipolysis) and fat cavitation technology. At Body Catalyst we use Clatuu 360° technology. It is the most technologically advanced fat freezing system available today, killing up to 30% of fat cells with each treatment, with results starting from 6 weeks. If you have cellulite, you are in good company, as you are among the 90% of women affected by it. It is is caused by fat cells pushing their way through loose connective tissue, causing an ‘orange-peel’ appearance of the skin. It is more prevalent in women due to the female body’s unique distribution of fat, muscle, and connective tissue. Although we can’t eliminate existing cellulite, we can significantly reduce the appearance of it. At Body Catalyst, we have two treatments to reduce the appearance of cellulite – radio frequency and cavitation. Book a free consultation, and let us share how. Just as a good wine improves with age, so do we. But for the majority of us, we would prefer this improvement to shine through our wisdom and not our skin. If you would like to turn back the time on your face and body, Body Catalyst can help you with our state of the art, non-invasive skin tightening technologies; Micro-Focused Ultrasound (Ulfit) and Radio Frequency (Dalyance). The Ulfit is the latest and most advanced, medical grade skin tightening technology, that not only smooths out wrinkles but gives your whole face a facelift. It specifically targets the SMAS layer of the face, the layer that controls the muscles and is manipulated during facial cosmetic surgery . It is the closest look you can get to surgery, without surgery. Nurturing new life is a wonder that only mothers can understand. However, our duty as care-givers can be unsettled by the physical and emotional changes that ensue. Body Catalyst can help, with our revolutionary fat freezing and skin tightening technologies, fat freezing (cryolipolysis) and Ulfit. Our leading edge, non-invasive technologies eliminate fat pockets and tighten skin, whilst our highly trained therapists are also nutritionists, experts in guiding you to overall wellness. Book a free consultation, and let us share how we can help you back to looking and feeling great. Is your profile not as chiseled as you’d like? 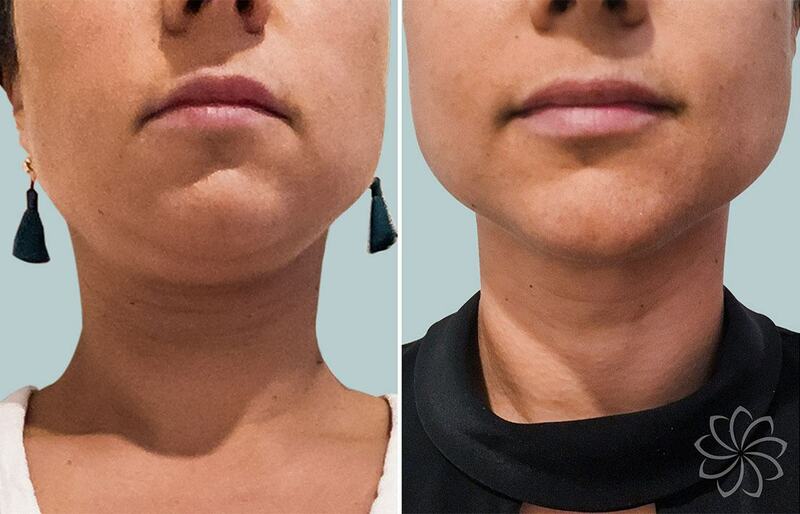 Sagging of the fat around the neck can cause a wrinkle, resulting in a double-chin. Weight is not the only reason for this condition, it can also be genetically predisposed, where skin with little elasticity cannot hold the fat firmly. 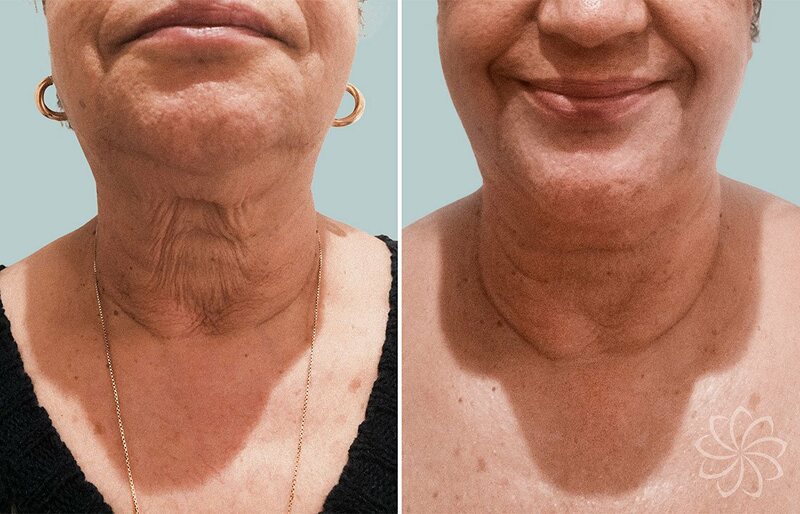 Using a combination of cryolipolysis and skin tightening (Ulfit), our therapists have been successful in both reducing the fat, and tightening the skin in the chin area. Book a free consultation and we’ll explain how. Body Catalyst is Australia’s largest and most experienced Body Contouring and Sculpting company. With clinics across Sydney and Melbourne, we perform over 6000 fat freezing treatments per year. Our team of therapists are not only masters of what they do, but as trained nutritionists, they are invested in helping clients reach and maintain their body goals. Our philosophy on technology is simple – only work with the best. Being the largest and most established Body Contouring & Sculpting Clinic in Australia means we have access to the very best technology partners globally. With the world’s most advanced technology comes the most conclusive training for our team, so not only are you getting the very best science has to offer, but you can rest assured you’re in the safest hands. Kill fat cells permanently without surgery. Immediate centimetre loss in targeted areas. The ultimate way to smooth dimples, lumps and bumps. Turn back the clock without surgery, needles or adding toxins. Tightens, tones and lifts loose skin (perfect for post pregnancy). It’s about knowing who you are, what you want, and not settling.